If you have spend time in India you will know that the level of poverty is unlike anything that you or I can imagine or are likely to experience. Each time that I travel there I’m reminded how much we have (in a material sense) and how much we take for granted. As a yoga practitioner, I might complain because I didn’t get the time to finish a full practice, or that with the birth of my son, it is harder to find a consistent schedule. As a yoga teacher, I wish for more people to come to classes, I wonder what people are doing instead of yoga. As a studio owner, I want more clients who are consistent and dedicated (blah-blah). Yoga can be a leisure activity, something in the same category as pilates or working out in a gym. In my traveling studies of Ashtanga Yoga, I learned about Odanadi on one of my early trips to Mysore, India. I became friends with an acupuncturist who would volunteer with the rescued victims at the Odanadi home. I learned about their work – a small organization that rescues, rehabilitates, empowers and educates in the area of human trafficking. I began to volunteer with Odanadi a few times a week. Sometimes just sitting with the women and children, being with them, supporting, talking. It was clear that these people were being helped and saved by the work of Odanadi. I was in India to study yoga, and here I was learning how yoga could be part of a life-saving rehabilitation program. Once rescued from brothels and other abusive situations, the victims are placed in rehabilitation homes in Mysore where they are educated and empowered. Activities such as yoga, karate, art, drama, and traditional dance are used to help to build residents physical and mental strength and prepare them for reintegration into society. Ashtanga Yoga is of huge significance to the young people of Odanadi. 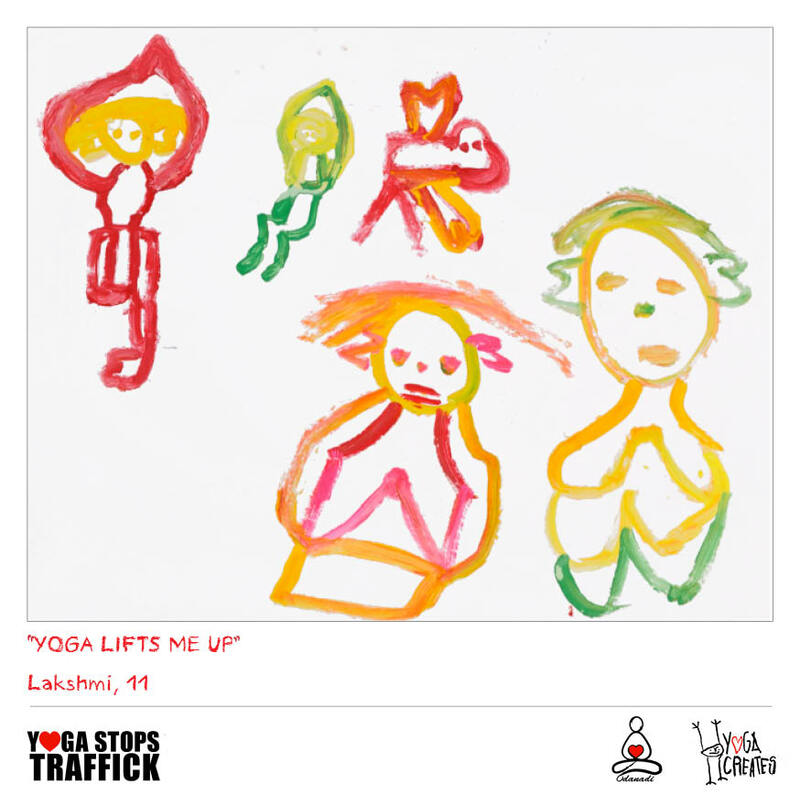 “As part of their rehabilitation program, it allows them to reclaim their bodies; build physical and mental strength, and restore a sense of peace, confidence and self-worth.” – Yoga Stops Traffick website. When you hear and read about yoga in this context, you realize how it can unite us across the world. We practice yoga for different reasons, all of them valid. This fundraiser is a chance for us to unite with and help those who have come from extremely difficult situations, and are on the road to becoming strong and confident individuals. Whatever your own reasons for practicing yoga, this is a wonderful opportunity to unite and show solidarity with the victims of human trafficking. As we all step onto our yoga mats, as we inhale and exhale, as we glide into upward facing dog and extend in downward facing dog, we will be taking a stand against injustice and inhumanity and saying yes to kindness and compassion. 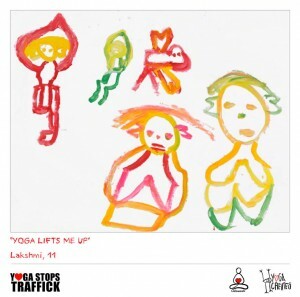 I’m proud to say that New Orleans has participated since 2010, in the very first year of Yoga Stops Traffick. In five years yoga has grown in New Orleans, and so has the event. Let’s make 2014 the biggest year yet! Join us Sunday March 16th 1pm in City Park, Tree of Chimes. More information here. Can’t make it? Donate to Odanadi or pick up a New Orleans Yoga Stops Traffick T-Shirt from Balance Yoga & Wellness.